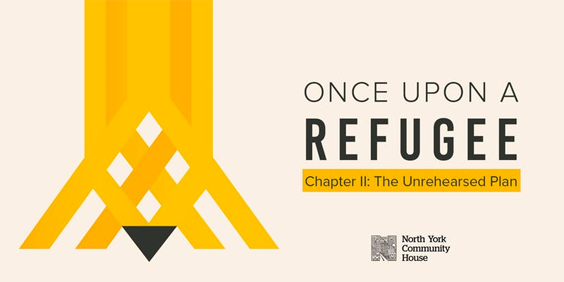 In recognition of Refugee Awareness Month, North York Community House presents “Once Upon A Refugee”, an interactive, multi-media presentation. Wednesday, April 24th, 2019, from 6 PM to 9 PM at York Woods Library Theater, 1785 Finch Ave W, North York. This is a free event. Registration required. 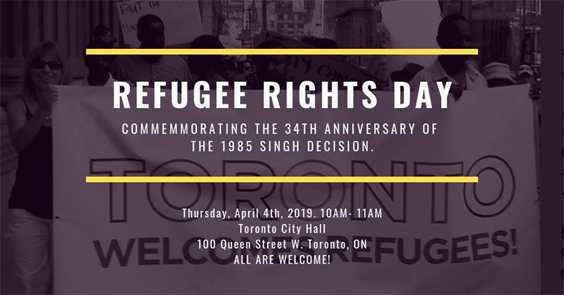 April 4 is celebrated as Refugee Rights Day every year in Canada in commemoration of the 1985 Supreme Court decision that recognized the fundamental rights of refugees. Click on this link for a list of events to mark Refugee Rights month throughout the month of April, organized by OCASI and Toronto community groups. We will not give in to attempts to cause fear and discord amongst us by demonizing and blaming refugee claimants. As Canadians we will stand firm against these attempts to divide us. We will continue to respect the human rights of refugees. We celebrate refugees and the enormous contributions they make to our society. Creating Positive Spaces for LGBTQIA+ Newcomers is a FREE facilitated online training by OCASI from April 24th to May 2nd, 2019. The training will help frontline practitioners working with immigrant and refugee communities who identify as LGBTQIA+(lesbian, gay, bisexual, transgender, queer, intersex, and asexual) to better understand the various barriers and challenges they face when accessing settlement services. Written by Pro Bono Students Canada (PBSC) for Settlement.Org, this article describes certain situations in which Canadian citizenship could be revoked (taken away) under the Strengthening Canadian Citizenship Act. New Fact Sheets from Colour of Poverty - Colour of Change (COP-COC) show growing racial disparities in Canada. Read more for fact sheets on ten different themes based on Census 2016 data and other studies. 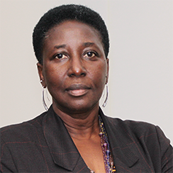 OCASI is a founding Steering Committee member of COP-COC. Do you work in the human services field? Want to support the nonprofit sector to more effectively advocate for program and policy reforms to address employment precarity, growing service gaps, and challenges to the quality of service provision? Participate in a study by Dr. John Shields, Ryerson University, Department of Politics and Public Administration by completing this survey. Register for the Canadian Council for Refugees (CCR) Spring Consultation to be held on May 30 - June 1st, 2019 in Victoria, BC. The consultation will explore current issues affecting refugee protection and newcomer settlement at our Spring Consultation, with a special focus on dialogue about newcomer settlement on Indigenous land, and building bridges with Indigenous People. This website is for front-line workers and advocates who work with refugee claimants and others who have questions about their immigration status in Canada. 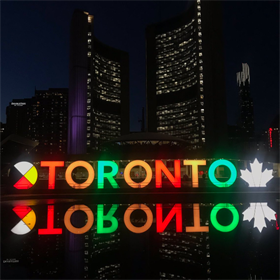 City of Toronto has officially recognized the International Decade for People of African Descent (2015 to 2024), which recognizes that people of African descent represent a distinct group whose human rights must be promoted and protected. Immigration, Refugees and Citizenship Canada has issued a call for proposals for select Settlement Program services not included in the Call for Proposals 2019. The purpose of this CFP 2 is to complement direct Settlement services across Canada by funding projects which promote research, capacity-building and coordination services. Deadline: Tuesday, April 30, at 5 pm PST.